Public Impact is excited to announce that our Opportunity Culture initiative is partnering with the College Board and the N.C. School of Science and Mathematics (NCSSM) to reach rural school districts with excellent NCSSM teachers. 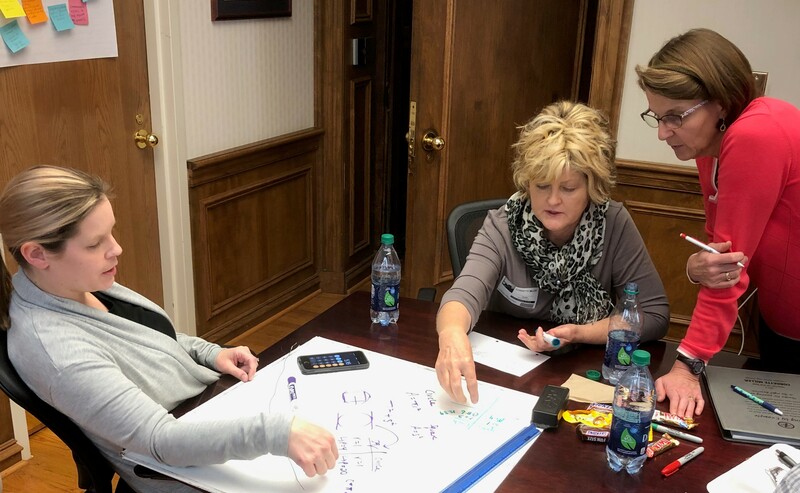 In the first phase of this pilot, an excellent NCSSM teacher will become an Opportunity Culture multi-classroom leader for a team of pre-calculus teachers spread across rural North Carolina in the spring 2019 semester. The first phase will lay the groundwork to add more remotely located multi-classroom leaders from NCSSM and elsewhere. The national Opportunity Culture initiative extends the reach of excellent teachers and their teams to more students, for more pay, within schools’ recurring budgets. Opportunity Culture multi-classroom leaders usually lead a small teaching team within one school, providing instructional guidance and frequent on-the-job coaching while continuing to teach part of the time. Accountable for the results of all students in the team, they also earn supplements averaging 20 percent (and up to 50 percent) of teacher pay, within the regular school budget. The schools redesign schedules to provide additional school-day time for teacher planning, coaching and collaboration. The first teaching team includes teachers from Vance County High, New Bern High, Lexington Senior High, and North Pitt High schools. Many rural and urban schools do not have enough teachers prepared to ensure student success in advanced math, science and other courses leading up to and including the AP level. This shortage was the impetus for this partnership. Full details are in the press release, below. Interested in getting started with Opportunity Culture in your district? Contact us! 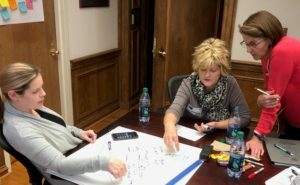 CHAPEL HILL, N.C.—The College Board and the North Carolina School of Science and Mathematics (NCSSM) are partnering with Public Impact’s Opportunity Culture initiative to reach rural North Carolina school districts with excellent NCSSM teachers. Founded and led by Public Impact, which is based in the Chapel Hill, N.C., area, Opportunity Culture now includes more than 20 districts in nine states, but no district or state has used the option of a remotely located multi-classroom leader (MCL). “I really like the idea of having an extra teacher in the classroom, even if it’s not every day—someone to co-teach, to answer students’ questions so that they can dig deeper into content, and to guide me in better developing students’ higher-order thinking skills with probing questions,” New Bern High teacher Ashley Knox said.